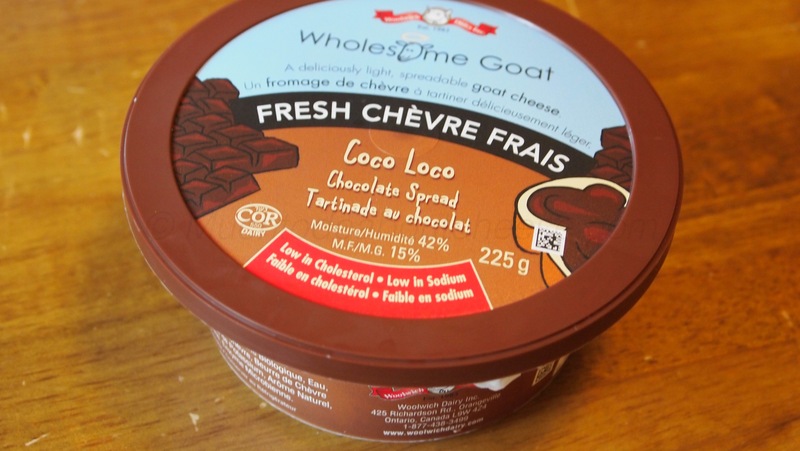 Product Review – Woolwich Dairy’s Coco Loco Chèvre Spread and Giveaway! I get a lot of companies sending me emails asking me to review their product, 99.9% of them have nothing to do with cheese. So when I received an email from Woolwich Dairy asking me if I would review their new flavour of Chèvre spread called Coco Loco, I said sure why not. Disclaimer – I have not been compensated for this review by Woolwich Dairy, other than the two containers of the Coco Loco they sent for the product reviews. The opinions stated are mine and mine alone. Woolwich Dairy has offered a gift basket to be given away on this site. Details of the giveaway will be at the end of the post. Woolwich Dairy products are locally sourced & produced in Orangeville, Ontario. Grounded by time-honored traditional cheese making methods, Woolwich Dairy produces the finest award winning artisan goat’s milk products from coast to coast. Enjoy a selection of Woolwich Dairy’s Gourmet Goats Milk Cheese, including a variety of fresh new flavours that will invigorate your palette. The ideal combo for summer entertaining with friends & family. Now I know what you are thinking chocolate and cheese should not be in contact with each other, well I have had some nice cheeses that pair well with chocolate. I know but you are thinking that this is different this is mixed in with the cheese, well you are right, but read the label again. 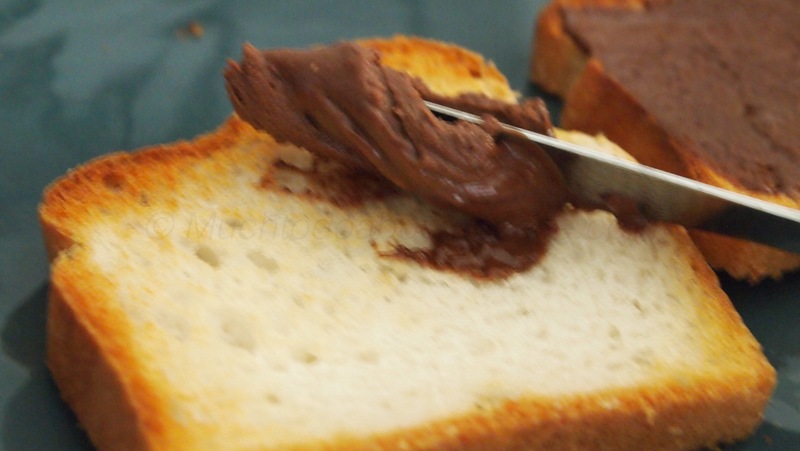 It is a chocolate spread made with Chèvre. 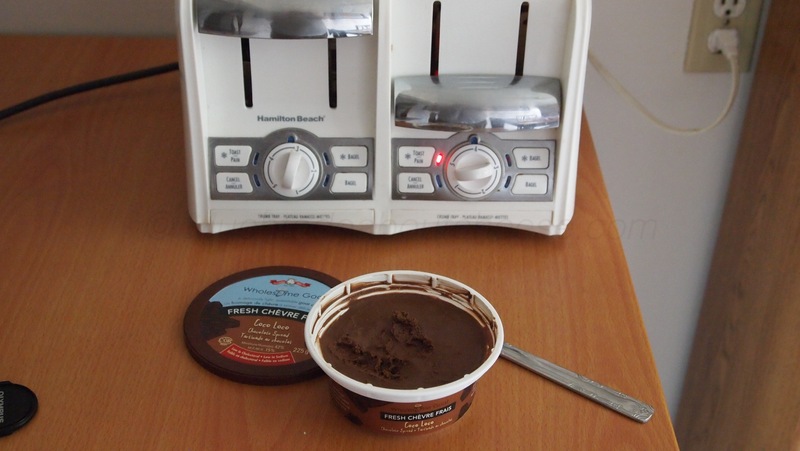 Have you ever had a spread/dessert that was made by mixing cream cheese and chocolate? 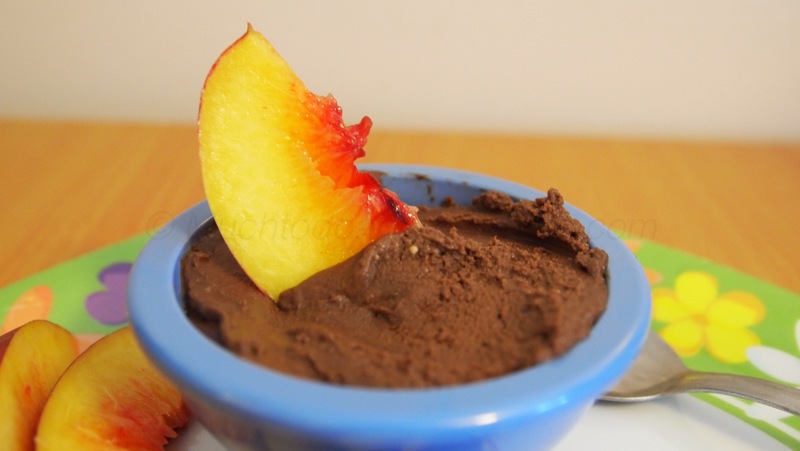 Ricotta and chocolate? I was skeptical too, at first. Now that we are looking at this with an open mind we can continue. Lets get down to business, how did it taste? Right off the bat you can pick up the chocolate flavour, then it moves right into chèvre flavour with a bit of salt. Next you get a slight bitterness that reminds me of coffee and it finishes with a nice hint of lemon. This was the first time I had to take tasting notes on a spread. 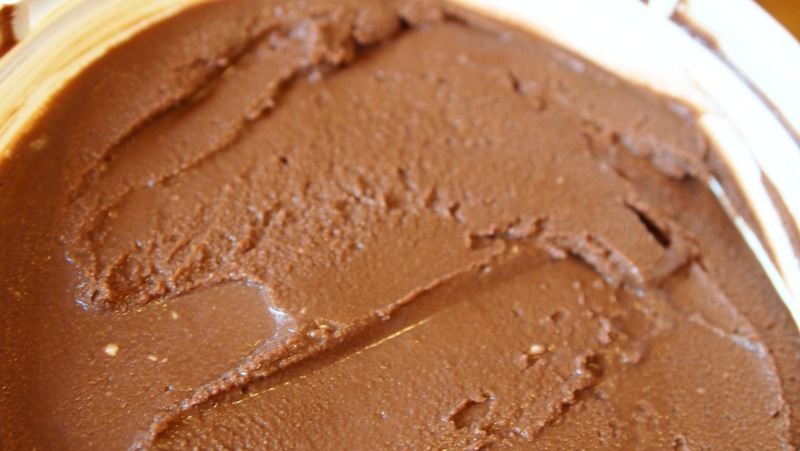 One of the serving suggestions is to spread it on toast, waffles or even crepes. I love toast, so toast it was. I was known to make icing sandwiches when I was young and single, so I was definitely excited. It was easy to spread and started to melt right away. 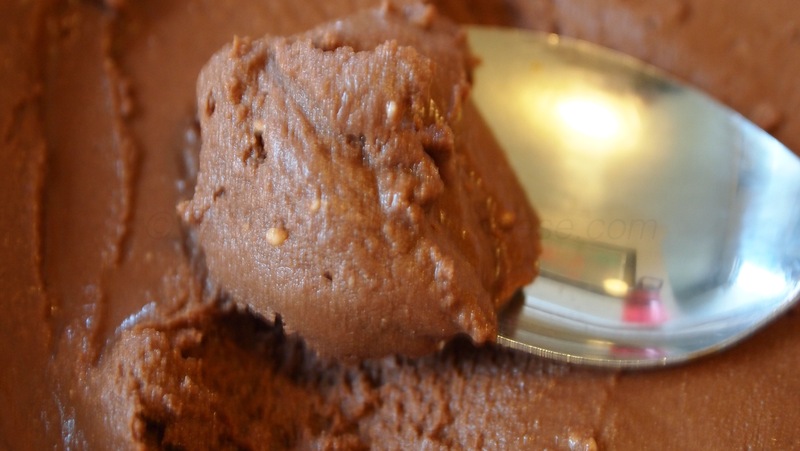 I am not a fan of that chocolate spread that has nuts in it, but I have to say this worked for me. 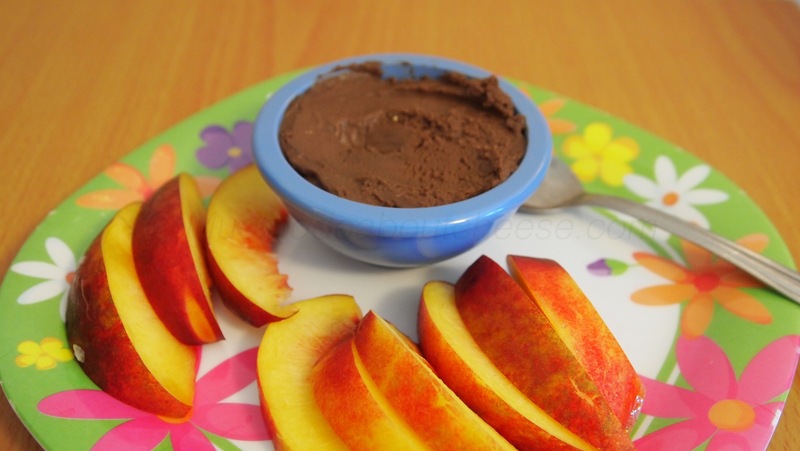 Next on the list was the suggestion that it could be used as dip for fruit, so it was time to cut up some fruit and get cracking. I chose nectarines for my test fruit. I was happy with the scoop test, but I should have let the spread warm up a bit. Again it worked for me, I was pleased with how it matched with the fruit. As an extra suggestion, my sister-in-law tried it and said it would make a great icing for cupcakes. Ultimately I liked the flavour of the cheese and I would recommend it for anyone looking for a sweet spread for a snack or something to spruce up their breakfast. I don’t know if I would be able to eat it out of the tub as it is quite rich and I could only take a couple of spoonfuls before I felt a little full. The Contest rules are as follows. The giveaway is open to residents of Canada only. Woolwich Dairy is a Canadian Company and that is their stipulation, and will end at 1800 hrs (6 PM) Mountain Standard Time August 19, 2014. To enter please leave a comment on the post saying you want to enter the giveaway (please note that the first two people who commented are entered). If you like sign up for email notification when new content comes out or like the Facebook Page. I will notify the winner (picked via random number generator) via email no later than Midnight on August 19, 2014 and let them now how they will receive their gift basket. I will then announce it on the website, once they have contacted me. ← Looking For A Few Good Curd Nerds! IF you saved any I’d love to try it!! 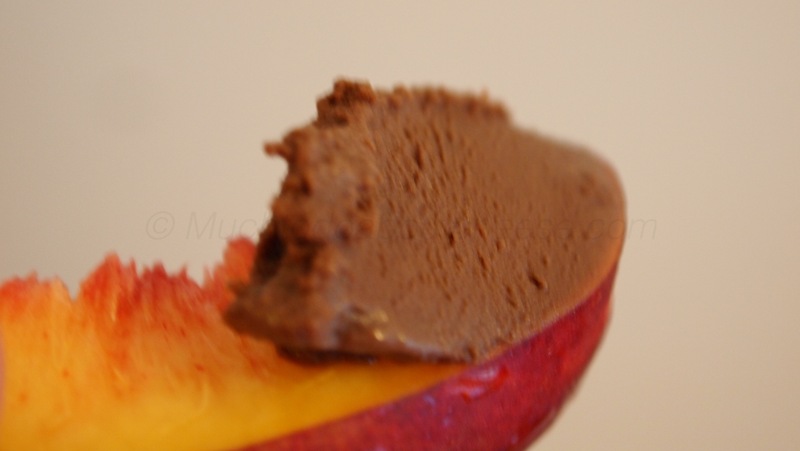 🙂 I wanted to do a ‘choco nut’ fresco and I still might as I am very interested in the choco cheese combo… a Swiss cheese maker originally told me about it so i’d think it has to be good!! My pleasure, like I said I was skeptical too, but I was happy with the product. I also entered you in the giveaway, too. Is the product made at their Canada plant or their Lancaster, Wisconsin plant? Woolwich built a beautiful state of the art facility in beautiful southwestern Wisconsin, sourcing their milk from hard working local Wisconsin and Iowa dairy goat farmers. They produce a wonderful product. From what the rep told me it was made in Canada. I wouldn’t be surprised if they take it to the US soon. I like that they source their milk from local sources. Would love to be entered for the giftbasket!! I really enjoyed reading your review. Please note that I would like to enter the giveaway. I’m a big fan of Woolwich Dairy products and would love to win the Woolwich Dairy Gift Basket Giveaway! Hi! Would love a gift basket of cheese! Such a great giveaway! Please enter me for the giveaway. The Coco Loco looks and sounds delicious! I’ve been using Woolwich products since 1999 when I went dairy-free. Love, love, love their cheeses, salad dressings and ice cream! It is now 1808 or 6:08 PM MST, the draw will take place shortly. Thank you to all that entered.